Hey babes! 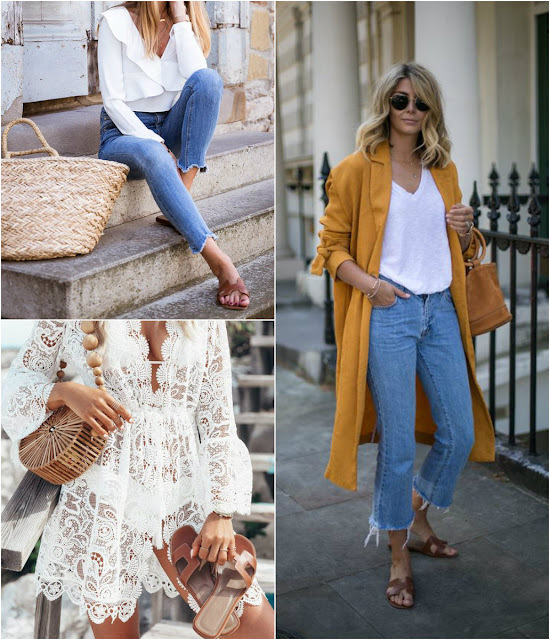 Last summer I saw the Hermes 'Oran' sandals all over Pinterest and I really wanted them. The only thing stopping me was the $680 price tag! Yikes! That's a whole lot of cash to drop on a pair of sandals. 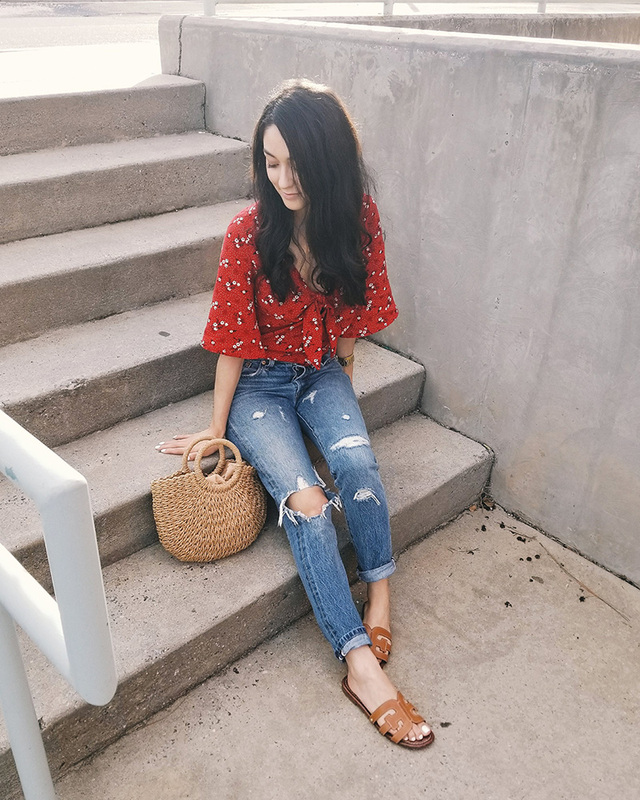 While I'm sure the quality is amazing and is totally worth it, I was on a mission to find the look for less. Well, one day while I was looking through my emails I came across this beautiful leather sandal that Sam Edelman had just released. They instantly reminded me of the Hermes sandal but for a fraction of the cost. Although they don't look exactly like the designer version I think they're a pretty good dupe. They're made of leather, super comfortable, and fit true to size. I've been wearing them almost every day since I got them in the mail and I've received tons of compliments on them! Now I'm contemplating on getting the white version too! This pair is also a pretty good dupe and I've seen tons of bloggers wearing. Now, for a little inspiration that I found on Pinterest. 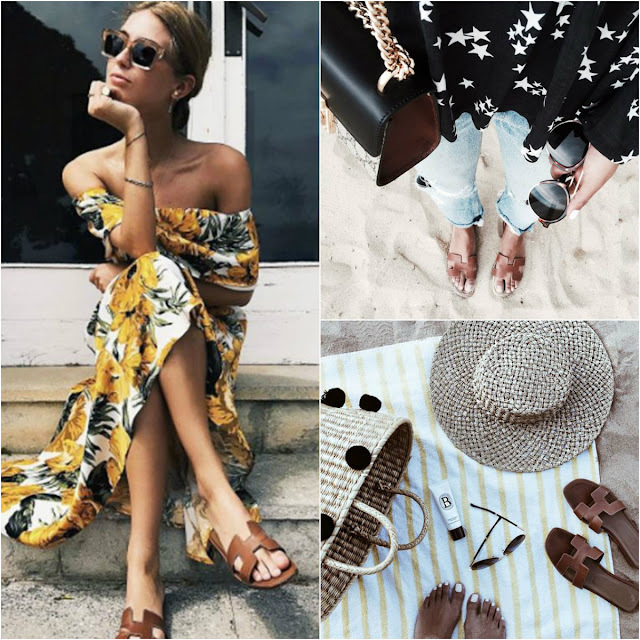 Sunkissed skin, frayed denim, floppy beach hats, floral dresses, straw bags... Looking at these pictures gets me so excited for warmer weather!! Let me know if you guys would like to see more 'look for less' type of posts. Just wanted to update this post to let you guys know that I found another dupe for under $20!! These are seriously SO cute! Check them out HERE. Zara just released this pair of sandals that has the same kinda look. They look a little more like the Saint Laurent tribute sandal but still a good dupe! I also just bought this simlar pair for under $10! Will update with photos soon! What do you guys think of this designer dupe?